Product #5848 | SKU C520 | 0.0 (no ratings yet) Thanks for your rating! The AKG C520 is a cardioid, condenser head-worn microphone with a comfortable, adjustable band that is designed to wrap around the neck. 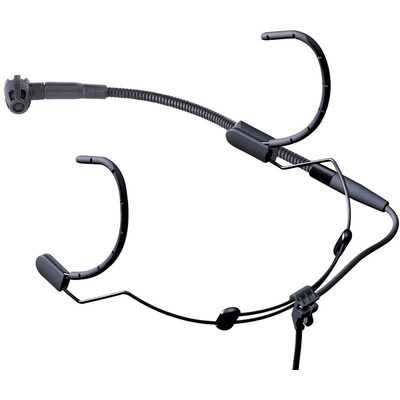 The lightweight design not only allows for comfortable long-term use, it keeps the microphone hidden from view, making it a suitable choice for performances, theatre and more. The cardioid polar pattern eliminates off-axis noise and feedback while the wide frequency response and sensitive capsule result in smooth, accurate vocal reproduction. The C520 features an adjustable gooseneck and the cable terminates to a standard XLR connection. The microphone is powered with 9 to 52 volts phantom power. The C520 is an ideal choice for presentations, performances, narration and more.